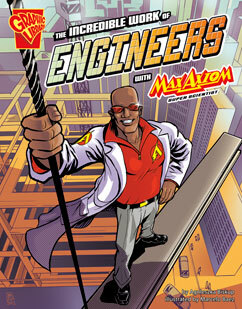 Another title in my Max Axiom graphic novel series follows Max as he meets engineers and finds out about the incredible things they do. Published by Capstone Press. A Junior Library Guild Selection for the Series Nonfiction Level: Science 3–5.